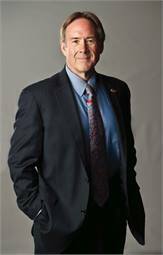 Paul Jablonski, CEO of the San Diego Metropolitan Transit System (MTS), is being honored with APTA’s Outstanding Public Transportation Manager Award for his 40-plus years in the industry. METRO finds out what makes him tick in our questionnaire. I got my heavy-duty license to drive a school bus and a truck on a big farm in western Massachusetts. Then, when attending the University of Massachusetts, I started driving a bus on campus. When the campus launched a pioneering program to balance parking and transit, it expanded service to seven towns around the campus. My responsibilities grew from driver to dispatching and maintenance, then to supervisor and eventually to assistant GM. When I graduated from college, I realized I had four years of practical experience in an industry that I really enjoyed, so I pursued it. I found my calling. I lead a multimodal transit system including fixed-route bus, paratransit, light rail, freight rail and taxi cab administration. MTS has more than 700 buses, 135 railcars, 2,500 direct and contract employees, and carries more than 300,000 people a day. Of course, there are all the daily challenges that come with that. What are some of your accomplishments you’re most proud of? 1. 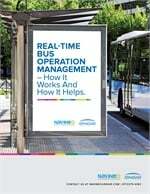 We consolidated the delivery of bus and rail transit services into one organization and realized great efficiencies by eliminating duplicative functions and instilling the sense of one organization among all MTS employees. 2. We implemented a market-driven network of service. Knowing that we didn’t have all the resources in the world, we reorganized our entire bus network to provide the resources and services where they are needed and used by the most people. 3. We are absolutely committed to State of Good Repair. It started with the systematic replacement of our bus fleet. We are now nearing completion of a $660 million project to modernize our Trolley’s Blue and Orange lines. We have also expanded and renovated one of our bus maintenance facilities and are breaking ground on another. The biggest challenge is finding enough money to do what we want to do, both in terms of operations and capital improvements. At MTS, we receive a relatively low amount of local funding. As a result, we have to be very sensible about the services we provide and conscious of the public subsidies provided for every route. And, we have to be very tough at the negotiating table to help ensure that we keep as much service on the street as possible. The challenge is instilling cost-consciousness in everything we do at every level of our organization. Accomplishing the renovation of our entire Blue and Orange lines is right at the top of my list. In 2006, we realized that our rail system was approaching 30 years old and built largely on the remnants of a century-old freight line. We needed to replace 71 railcars, the overhead catenary system, switches, signals, grade crossings…. You name it, we had to fix it and we had no money identified. Seven years later, we’ve extended the Green Line, rebuilt the Orange Line and are within months of the Blue Line completion. We’ve also taken delivery on 65 new Siemens railcars. We did it by lobbying SANDAG to include the project as a TransNet Early Action project, helped the state develop the criteria for state infrastructure bonds and were able to include the project in the American Reinvestment and Recovery Act. Getting people to where they want to go is also highly satisfactory to me. A couple of months ago, we provided more than 215,000 additional rides for Comic-Con International, one of the largest entertainment and comic conventions in the world. Every other Sunday we carry 15,000 to 20,000 people to the Chargers’ football games. In almost every instance, all this extra service is executed without a single glitch. It is very gratifying to know that we have a team of professionals that can get this done consistently. What skills have helped you get where you are? Over my 40-plus years, I have always treated my superiors and my boards of directors as clients. And, I always make sure that I give my clients everything they want within the realm of possibility. To do that, you need great people working with you and the ability to articulate a plan. Recognizing talented people and being able to communicate well with them — whether they are chief operating officers, bus operators or mechanics — has always been a strength of mine. Early in my career there were three people who were instrumental in my career development: Dennis Fitzgerald, executive director of Capital District Transportation Authority in Albany, [N.Y.] and John Williams and Bob Chesney at ATE. Today, I look at younger people, like Keith Parker at MARTA, who are doing exceptional work, and it gives me confidence that the future of the transit industry is in good hands. I’ve also had outstanding leadership from board members like Pete Gomsak in Cincinnati and Harry Mathis and Ron Roberts here in San Diego, who have inspired me to do my very best work. I can’t wait to see my four kids. They are all successful adults and spread out across the country. I try to see them as often as possible. I also love the outdoors and our National Park system and go hiking often with my wife. I also love Sunday rides on my Harley.